Sewer kits with the convenience of RV standard bayonet fittings. 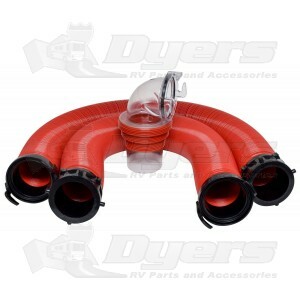 A quick twist is all that's needed for simple and secure RV to sewer connections. Now changing hose lengths can be made without removing and reattaching any fittings!